LUZIA, the newest Big Top show from Cirque du Soleil will be opening on September 14 at Atlantic Station in Atlanta. Experience water inside the big top, jaw dropping acts and larger than life props in this unique production unlike any show you have seen before. 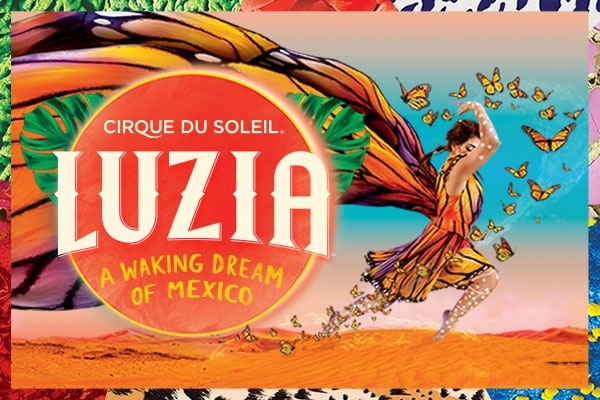 LUZIA takes you to an imaginary Mexico, like in a waking dream, where light quenches the spirit and rain soothes the soul. LUZIA opens on September 14 at Atlantic Station and runs through November 19. Get ready to be transported to a surreal world of wonders! I have four (4) tickets to the LUZIA show on Thursday, October 5th at 8pm. To enter, like this BalancingMama Facebook post and leave a comment telling me who you will bring with you if you win. The giveaway is in no way associated with Facebook. Do you want to go on another date and save a bit of cash? Right now, you can buy your tickets with a special 20% offer now before they sell out! Offer is valid on select show dates and times while supplies last. This offer may not be combined with other offers or applied to previously purchased tickets. To see the shows and seats available at 20% off, visit Cirque LUZIA Atlanta Deals. But hurry, this back-to-school Cirque du Soleil LUZIA discount ends on September 8th.